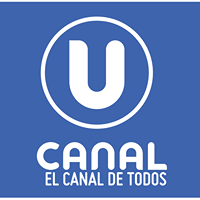 General TV Channel / Channel U is a cable television signal that aims to convey the identity, values and talent of Uruguayans worldwide. Own, varied and quality production added to already successful contents and premieres of the best filmmakers in the world. country and the region. Fictions, documentaries, journalistic, musical, sports, cultural and entertainment programs, integrate the varied offer of Canal U in a range of great audiovisual richness. Among his figures are prominent Uruguayan professionals from the local and international media. With distribution in different countries of Latin America, Channel U will be the best letter of presentation of Uruguay in the region and a strong link with Uruguayans living abroad.